If you are wondering how to complete the Achievement - Wind Master in GunboundM, here's some helpful tips that can help you achieve this. How To Get a Point? 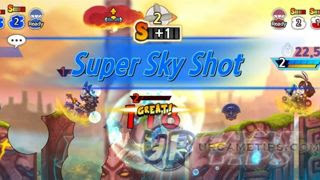 - In order to get a successful point, perform a Sky Shot or Super Sky Shot while the Wind Force is 10 or higher. So, always aim for higher shots with around 90% degrees angle, and hit your target. - Note that it will only record 1 Point per Game. Where to Find a 10 Wind Force? - You can only complete this achievement through PVP Mode, and the only Mode that will let you experience a 10 Wind Force is under Pro Battles. 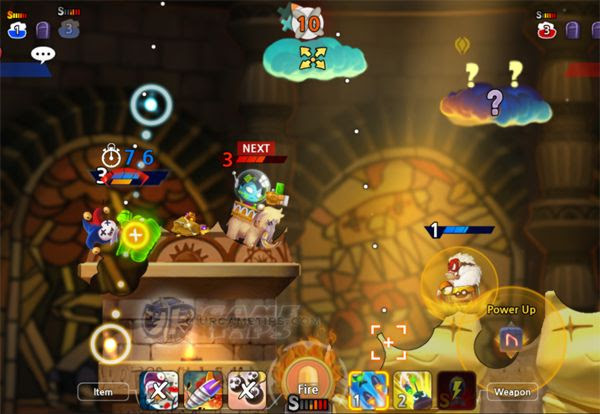 - So get your team, Gold, and skills ready first before trying this one. How To Accurately Adjust My Guide Line? - Mastering at least 3 and 1 Wind Force can help you adjust your guide line accurately for 10 Wind Force. I believe every screen size + default zoom will give you different adjustments or space between your target and guide line. - So after learning and memorizing your spaces needed for a 3 and 1 Wind Force, you can now proceed and apply the patterns to 10 Wind Force. - For the example pic above (Slam > Ice), the Wind Direction is "Diagonally Upwards", so the pattern I used here is to divide 10 by 2 then add 1 = 6. Since the arrow is facing to the left, your guide line should be located to the right of target. - Next, I adjusted my guide line to match my Wind Force 3 space based from my "directly to the Right/Left" adjustment/space from HERE (for my screen size and default zoom, my space for Wind Force 3 is 1 inch). So, I will just double that space to match the calculated number above which is 6 ("2 inches"). - Here the Wind Direction is the same but at the opposite side, same pattern applies as long that you can do a full pull Power + around 90 degrees aiming angle. What If the Wind Direction is Directly to the Right or Left? - This rarely happens I think, but just in case, one way is to refer again from the space/adjustment of your 3 Wind Force, triple that (3x3 = 9), then adjust a little bit more farther from your target to reach a total of 10. What If the Wind Direction is Directly Upwards or Downwards? - What I'm doing most of the time, it to divide the Wind Force by 2 twice, so 10/2/2 = 2.5, then adjust. - Note that "Downwards" will make your shot shorter, while "Upwards" will make it farther. - It should still work, but sometimes you need to adjust your Pull Power to around 75% to accurately adjust your guide line to a preferred position (which is annoyingly difficult sometimes because of the limited time). - Yes, because Tornadoes can disrupt your aiming options and detects locations with wide spaces.